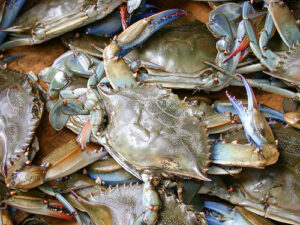 Casey’s Seafood, which did business in and around the Chesapeake Bay has taken a plea deal for a crabbing fraud scheme. The Virginia seafood business owner made millions of dollars selling crab meat, alleging it was from the Chesapeake Bay, when in actuality in was caught off the waters of China, Indonesia and Vietnam. The owner, James Casey was sentenced to 45 months in prison, and must pay a fine of 15,000 dollars. Casey pleaded guilty to violating the Lacey Act, which is a federal law that prohibits the illegal trafficking of wildlife, fish, plants and plant products.